We have three offices in San Antonio, Beeville, and Seguin to serve you with another one opening soon! Dental Plus Clinic is headquartered in Seguin, TX. Each of our offices provides comprehensive treatments, so there is no need for referrals. From orthodontics and cosmetic treatments to pediatric dentistry, we can meet all your goals and needs. We are dedicated to helping our patients experience the many benefits of excellent oral health and a beautiful smile. Dr. Tejash Patel and his team of caring, skilled dentists use state-of-the-art technology to provide effective and comfortable treatment for our patients. All of our offices are conveniently located and staffed with friendly and knowledgeable professionals. Whether you need a dental implant or just a simple cleaning, you can find the services you need at Dental Plus Clinic. With years of experience in family, cosmetic, implant, and pediatric dentistry, Dr. Tejash Patel leads a practice equipped to meet every dentistry need. Dr. Divyesh Patel believes in making a difference in peoples lives by helping them achieve and maintain excellent dental health. As a native of South Texas, orthodontist Ryan Reyes is proud to work with our practice to provide our patients with healthy, properly aligned smiles. Dr. Steve Velez treats all of his patients like family and is committed to taking care of your children's dental needs from infancy through adolescence. Discount applies on office fees with enrollment of In House Discount plan. This offer applies on patient with no Insurance. This offer include free consultation and Implant body, Abutment and Crown. This offer is eligible for All PPO Patient with Same day treatment over $ 500 and more. Free consultation and interest free financing is available. Free Consultation and 0 % Financing available. "Dr. Patel is an excellent clinician. Amazing attention to detail and only wants the best for his patients. Plus he has got an A+ team that is both friendly and professional. They are extremely patient and very detailed when answering questions." Dirk A. Dental implants provide the ultimate support for crowns, bridges, and dentures. Missing teeth affect the health, appearance, and function of your smile. While a solution such as a traditional denture can restore your appearance, it only restores a fraction of your ability to chew and speak clearly. With dental implants, your crown, bridge, or denture is anchored directly to your jaw, making it possible to eat any foods you choose and speak with total clarity without having to worry that your restoration will shift out of place. Dr. Tejash Patel is a dentist with advanced training that allows him to perform every stage of dental implant treatment. From preparatory procedures to the final restoration, we can complete your entire treatment in one office.  Dr. Patel is a certified fellow of the International Congress of Implantology (ICOI). Complete your patient registration form, Medical history form and HIPPA form before your appointment. We are constantly striving to improve our services. Let us know how we can provide a better patient experience.